Off-Page SEO means, the process in which the optimization is done outside of your blog, like guest-posting, comments, getting backlinks etc. Previously we have covered all those On-Page SEO techniques, through which you can bring more traffic to your blog. Today, we are going to see all those 8 Off-Page SEO Techniques, through which you can bring more traffic to your blog, because more traffic means more revenue. Social Networks are the most powerful platforms to bring more visitors to your site. In Off-Page SEO, Social Networks are on the top, these networks include Facebook, LinkedIn, Google, Twitter, etc. As we all know that everyone has created an account on social network, therefore you have to do bring all those social users to your site, in order to make money online. You cannot imagine the power of social media, just take an example of Facebook, once you publish an article, it will appear on Facebook and each like will spread your article to their circles, through which the article will reach millions of people within a minute. In off-page SEO techniques, social networks on the top. In Off-Page SEO guest blogging is one of the most import factor to redirect visitors to your site. Because, In Guest Blogging you are writing article for other blogs to visible your site. Comments are the most important part in Guest Blogging, because each comment will redirect visitors to your blog. Therefore try to write quality article for other sites, if you want to make money online. Try to involve yourself in different forums and reply to threads, offer advises, ask questions, respond to queries etc. It will build up your reputation and people will get engaged with your blog. You better comment on "Do-Follow" Forums like warriorforum etc. Some people believed that directory submission is not working anymore, but I think it can give you some results. It can definitely give you some results but quite delayed. The problem arises when we are not effectively selecting those directories. Try to submit your article to those directories, which associates with your niche. Some useful directories are..
StumbleUpon, Delicious, Reddit, Digg, etc are the best Social bookmarking sites for your blog. Try to submit your blog posts to those sites, because search engines crawl these kind of sites, due to frequently updated content. 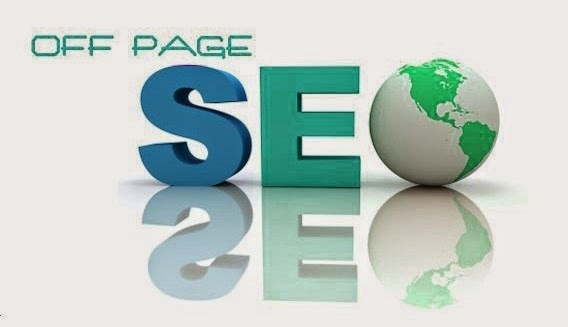 Off-Page SEO is all about activities performed beside your blog, therefore engage yourself in social site. Nowadays bloggers are making tutorials for their blogs, if you have such kind of videos, then you can submit your videos to Youtube, Vimeo, Dailymotion etc. On the other side photos also play an important role to visible your site on search engines, therefore try to add pictures on Facebook, Flickr, Photo Bucket, Picasa, etc. Along with try to add your site link, so while commenting on your photos and videos, they will definitely visit your site. In off-page SEO techniques videos got a vital role in SERPS. Try to show your participation in "Question Answer" section of different sites like Yahoo Q & A etc. If you answer such kind of questions, it will build up your reputation. You can put a link of your site on those answer sections, so people feel you are an expert in your field and they will find your site. 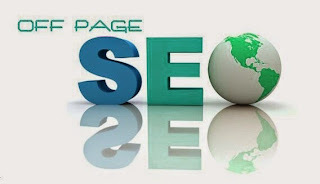 Comments play an important role to bring backlinks to your site, therefore try to comment on high page rank website. Secondly, you have search for keyword on the search engine and comment on Intensedebate and Commentluv enabled sites. Thirdly, download a list of high page rank websites and comment on each and every website, in order to get backlinks. The more backlinks you got the better your site will be ranked. Commenting is a common way of off-page SEO technique, so don't shy to comment below in order to get backlinks to your site. The above off page techniques are good, but more off page techniques are effective like Profile link, website feedback, audio sharing, Document sharing and much more. visit http://www.webygeeks.com/seo-packages for more off page techniques details. Off-page SEO is very important to visible a site on search engine, because Google sees no of backlinks to a site. Nice tips and trick publish this site thanks for this one. So how is your blogging journey going so far? You have listed out the most prominent Off-page SEO techniques.These are really informative and insightful techniques which you have described amazingly. Thanks for sharing such a wonderful post and keep sharing your experience with us. I like the valuable information you provide in your articles. I would bookmark your weblog and check again here frequently. methods all of that are explained here. Informative blog. I would like to appreciate these steps of SEO Offpage. And i am also seeking for tips before starting up an website hope so soon you will share it too. Amazing post,thanks for the good information. Very much liked your post. Why Google AdSense Has No Perfect Alternative? How to Add A Flying Twitter Bird In Blogger?